Immigration is remaking the United States. In New York, Los Angeles, Miami, San Francisco, and Chicago, the multiethnic society of tomorrow is already in place. Yet today's urban centers appear unlikely to provide newcomers with the same opportunities their predecessors found at the turn of the last century. Using the latest sources of information, this hard-hitting volume of original essays looks at the nexus between urban realities and immigrant destinies in these American cities. Strangers at the Gates tells the real story of immigrants' prospects for success today and delineates the conditions that will hinder or aid the newest Americans in their quest to get ahead. This book stresses the crucial importance of understanding that immigration today is fundamentally urban and the equally important fact that immigrants are now flocking to places where low-skilled workers--regardless of ethnic background--are in particular trouble. These two themes are at the heart of this book, which also covers a range of provocative topics, often with surprising findings. Among the essayists, Nelson Lim enters the controversy over whether and how immigrants affect the employment prospects for African Americans; Mark Ellis investigates whether low immigrant wages depress other workers' salaries; William A.V. Clark contends that immigrants seem to be experiencing downward mobility; and Min Zhou asserts that trends among second-generation immigrants are decidedly more optimistic. These well-integrated and well-organized essays sit squarely at the intersection of sociology and economics, and along the way they point out both the strengths and the weaknesses of these two disciplines in understanding immigration. Providing a theoretically and empirically comprehensive overview of the economic fate of immigrants in major American cities, this book will make a major contribution to debates over immigration and the American future. Roger Waldinger is Professor and Chair in the Department of Sociology at the University of California, Los Angeles. He is coauthor of How the Other Half Works: Immigration and the Social Organization of Labor (California, forthcoming), author of Still the Promised City? 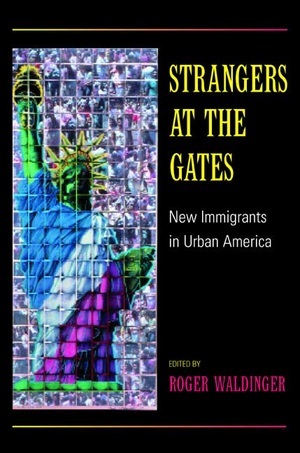 New Immigrants and African Americans in Post-Industrial New York (1996), which won the Robert Park Award of the American Sociological Association, and author of several other publications.